(Cattle Exploitation - Rodeo - Calf Roping - 01) It is not hard for anyone with a brain and a heart to understand what is wrong with roping a baby animal, body slamming it to the ground and tying it legs so it cannot move. 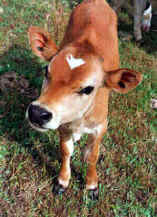 If this were done to a puppy or kitten, the offender would be charged with crimes and likely jailed. 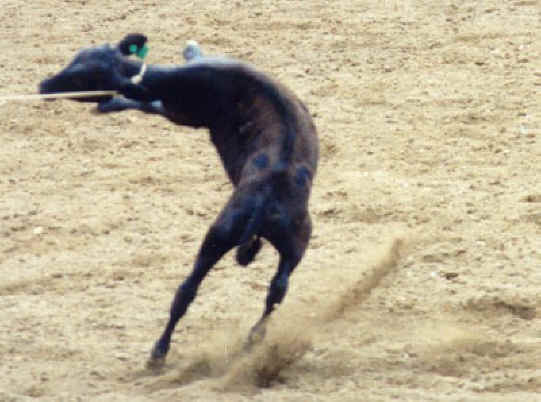 The violent contortion of the calf's back during roping may result in injury or death.